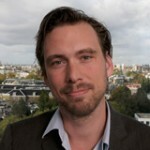 Frenk van Harreveld is an associate professor of social psychology. He obtained his PhD at the University of Amsterdam. Subsequently he worked for the world’s largest consulting firm Accenture, after which he returned to the UvA. He has worked as a visiting researcher at the University of California, Berkeley and the University of Massachusetts, Amherst and the University of British Columbia in Vancouver. His research concerns various aspects of uncertainty. Frenk’s research on attitudes and decision-making examines various forms of evaluative conflict such as attitudinal ambivalence, decision reversibility and regret. Other forms of uncertainty that he investigates are risk perception, lack of control and mortality salience. In the bachelor’s program of the department of psychology Frenk teaches the introduction into social psychology and a course on attitudes and persuasion. In the research master he teaches a course on judgment and decision-making. Frenk is Head of Studies at the Politics, Psychology, Law and Economics (PPLE) bachelor program of the University of Amsterdam, where he also teaches a course on decision-making. Sayans-Jimenez, P., van Harreveld, F., Dalege, J., & Rojas Tejeda, A. J. Investigating stereotype structure with empirical network models. European Journal of Social Psychology, in press. Dalege, J., Borsboom, D., van Harreveld, F., & van der Maas, H. L. J., in press. Thinking is for reducing entropy: A formalized account of the causes and consequences of thinking about attitude objects. Psychological Inquiry. Itzchakov, G. & van Harreveld, F. (2018). Feeling Torn and Fearing Rue: Attitude Ambivalence and Anticipated Regret as Antecedents of Biased Information Seeking. Journal of Experimental Social Psychology, 75, 19-26. O'Donnell, M., Nelson, L.,..Rutjens, B.T., van Elk, M., van Harreveld, F., et al. (2018). Registered Replication Report: Dijksterhuis & van Knippenberg (1998): Multilab direct replication of: A variant of study 4 from Dijksterhuis, A., & van Knippenberg, A.(1998). The relation between perception and behavior, or how to win a game of trivial pursuit. Journal of personality and social psychology. Perspectives on Psychological Science, 13, 268-294. Dalege, J., Borsboom, D., van Harreveld, F., Waldorp, L., & van der Maas, H. L. J. (2017). Network structure explains the impact of attitudes on decisions. Nature: Scientific Reports, 7, 4909. Dalege, J., Borsboom, D., van Harreveld, F., & van der Maas, H. L. J. (2017). Network Analysis on Attitudes: A Brief Tutorial. Social Psychological and Personality Science, 8, 528-537. Maij, D., van Harreveld, F., Gervais, W., Shrag, Y., Mohr, C., & van Elk, M. (2017). Mentalizing skills do not differentiate believers from non-believers but credibility enhancing displays do. PLoS One, 12(8), e0182764. Nohlen, H. U., van Harreveld, F., Rotteveel, M., & Larsen, J. T. (2016). On the affective nature of attitudinal ambivalence: A facial EMG study on the role of choice and evaluative context in shaping affective responses to ambivalence. Journal of Experimental Social Psychology, 65, 42-51. Schneider, I. K., Veenstra, L., van Harreveld, F., Schwarz, & N., Koole, S. (2016). Let's not be Indifferent about neutrality: Neutral ratings in the IAPS mask mixed affective responses. Emotion, 16, 426-430. Bullens, L. & van Harreveld, F. (2016). Having second thoughts: The consequences of decision reversibility. Social Psychological and Personality Compass, 10, 550-560. Dalege, J., Borsboom, D., van Harreveld, F., van den Berg, H., Conner, M., & van der Maas, H. L. J. (2016). Toward a formalized account of attitudes: The Causal Attitude Network (CAN) Model. Psychological Review, 123, 2-22.
van Elk, M., Rutjens, B., van Harreveld, F., & van der Pligt, J. (2016). Priming of supernatural agent concepts and agency detection. Religion, Brain and Behavior, 6, 4-33. Rutjens, B. T., van Harreveld, F., van der Pligt, J., van Elk, M., & Pyszczynski, T. (2016). A march to a better world? Religiosity and the existential function of belief in social-moral progress. International Journal for the Psychology of Religion, 26(1), 1-18. Schneider, I. K., van Harreveld, F., Schwarz, N., & Koole, S. (2015). The path of ambivalence: Tracing the pull of opposing evaluations using mouse trajectories. Frontiers in Psychology: Cognition, 6, 996. Dalege, J., Borsboom, D., van Harreveld, F., van den Berg, H., Conner, M., & van der Maas, H. L. J. Toward a formalized account of attitudes: The Causal Attitude Network (CAN) Model. Psychological Review, in press. Schneider, I. K., Veenstra, L., van Harreveld, F., Schwarz, & N., Koole, S. Let's not be Indifferent about neutrality: Neutral ratings in the IAPS mask mixed affective responses. Emotion, in press. Rutjens, B. T., van Harreveld, F., van der Pligt, J., van Elk, M., & Pyszczynski, T. A march to a better world? Religiosity and the existential function of belief in social-moral progress. The International Journal for the Psychology of Religion, in press. van Elk, M., Rutjens, B., van Harreveld, F., & van der Pligt, J. Priming of supernatural agent concepts and agency detection. Religion, Brain and Behavior, in press. van Harreveld, F., Nohlen, H. U., & Schneider, I. K. (2015). The ABC of Ambivalence: Affective, Behavioral and Cognitive consequences of attitudinal conflict. In M.P. Zanna & J. Olson (Eds.). Advances in Experimental Social Psychology (Vol 52), (p. 285-324). New York: Academic Press. van Harreveld, F., Nohlen, H. U., & Schneider, I. K. (2015). You shall not always get what you want: The consequences of ambivalence towards desires. Chapter in: L. F. Nordgren & W. Hoffmann (Eds. ): The Psychology of Desire. Guilford Press. van Harreveld, F., Rutjens, B. T., Schneider, I. K., Nohlen, H. U., & Keskinis, K. (2014). In doubt and disorderly: Ambivalence promotes compensatory perceptions of order. Journal of Experimental Psychology: General, 143, 1666-1676. Bullens, L., van Harreveld, F., Forster, J., & Higgins, E.T. (2014). How decision reversibility affects motivation. Journal of Experimental Psychology: General, 143, 835-849. Nohlen, H., van Harreveld, F., Rotteveel, M., & Lelieveld, G., & Crone, E.A. (2014). Evaluating ambivalence: Social-cognitive and affective brain regions associated with ambivalent decision-making. Social Cognitive and Affective Neuroscience, 9, 924-931. Bullens, L., van Harreveld, F., Forster, J., & van der Pligt, J. (2013). Reversible decisions: The grass isn't merely greener on the other side; it's also very brown over here. Journal of Experimental Social Psychology, 49, 1093-1099. Rutjens, B.T., van Harreveld, F., & van der Pligt, J. (2013). Step by step: Finding compensatory order in science. Current Directions in Psychological Science, 22, 250-255. Rutjens, B. T., van Harreveld, F., van der Pligt, J., Kreemers, L. M., & Noordewier, M. K. (2013). Steps, stages, and structure: Finding compensatory order in scientific theories. Journal of Experimental Psychology: General, 142, 313-318. Schneider, I.K., Eerland, A., van Harreveld, F., Rotteveel, M., van der Pligt, J., van der Stoep, N., & Zwaan, R.A. (2013). One way and the other: The bi-directional relationship between ambivalence and body movement. Psychological Science, 24, 319-325. Rutjens, B. T., van der Pligt, J., & van Harreveld, F. (2012). Regulating psychological threat: The motivational consequences of threatening contexts. In K. J. Jonas & T. Morton (eds. ), Restoring civil societies: The psychology of intervention and engagement following crisis. Wiersema, D.V., van Harreveld, F., & van der Pligt, J. (2012). Shut your eyes and think of something else: Self-esteem and avoidance when dealing with counter-attitudinal information. Social Cognition, 30, No. 3, pp. 323-334. Bullens, L., Forster, J.A., van Harreveld, F., & Liberman, N. (2012). Self-produced decisional conflict due to incorrect metacognitions. In B. Gawronski & F. Strack (Eds. ), Cognitive Consistency: A Fundamental Principle in Social Cognition(pp. 267 - 284). New York: Guilford Press. van Harreveld, F., Schneider, I.K., Nohlen, H., & van der Pligt, J. (2012). Ambivalence and conflict in attitudes and decision-making. In B. Gawronski & F. Strack (Eds. ), Cognitive Consistency: A Fundamental Principle in Social Cognition(pp. 285 - 304). New York: Guilford Press. Bullens, L., van Harreveld, F., & Forster, J.A. (2011). Keeping ones options open: The detrimental consequences of decision reversibility. Journal of Experimental Social Psychology, 47, 800-805. Rutjens, B. T., van der Pligt, J., & van Harreveld, F. (2010). Deus or Darwin: Randomness and belief in theories about the origin of life. Journal of Experimental Social Psychology, 46, 1078-1080. Rutjens, B. T., van Harreveld, F., & van der Pligt, J. (2010). Yes we can: Belief in progress as compensatory control.Social Psychological and Personality Science, 1, 246-252. Wiersema, D.V., van der Pligt, J., & van Harreveld, F. (2010). Motivated memory: Memory for attitude-relevant information as a function of self-esteem. Social Cognition, 28, 219-239. Nordgren, L.F., van Harreveld, F. & van der Pligt, J. (2009). The restraint bias: How the illusion of self-restraint promotes impulsive behavior. Psychological Science, 20, 1523-1528. Rutjens, B. T., van der Pligt, J., & van Harreveld, F. (2009). Things will get better: The anxiety-buffering qualities of progressive hope. Personality and Social Psychology Bulletin, 35, 535-543.
van Harreveld, F., van der Pligt, J., & De Liver, Y. (2009). The agony of ambivalence and ways to resolve it: Introducing the MAID model. Personality and Social Psychology Review, 13(1), 45-61.
van Harreveld, F., Rutjens, B.T., Rotteveel, M., Nordgren, L.F., & van der Pligt, J. (2009). Ambivalence and decisional conflict as a cause of psychological discomfort: Feeling tense before jumping off the fence. Journal of Experimental Social Psychology, 45, 167-173. Nordgren, L.F., van der Pligt, J., & van Harreveld, F. (2008). The instability of health cognitions: visceral states influence self-efficacy and related health beliefs. Health Psychology , 27, 722-727.
van Harreveld, F., van der Pligt, J., & Nordgren, L.F. (2008). The relativity of bad decisions: Social comparison as a means to alleviate regret. British Journal of Social Psychology, 47, 105-117.
van Dijk, W.W. & van Harreveld, F. (2008). Disappointment and regret. In N. M. Ashkanasy & C. L. Cooper (Eds. ),Research companion to emotions in organizations. (pp. 90-102). London: Edward Elgar Publishers. Nordgren, L.F., van der Pligt, J. & van Harreveld, F. (2007). Unpacking perceived control in risk perception: The mediating role of anticipated regret. Journal of Behavioral Decision Making, 20, 533-544. Nordgren, L.F., van der Pligt, J., & van Harreveld, F. (2007). Evaluating Eve: Visceral states influence the evaluation of impulsive behavior. Journal of Personality and Social Psychology, 93, 75-84.
van Harreveld, F., Wagenmakers, E.J., & van der Maas, H., (2007). The effects of time pressure on chess skill: An investigation into fast and slow processes underlying expert performance. Psychological Research, 71 , 591-597.
van Harreveld, F., van der Pligt, J., Claassen, E., & van Dijk, W.W. (2007). Inmate emotion coping and psychological and physical well-being: The use of crying over spilled milk. Criminal Justice and Behavior, 34, 697-708. Nordgren, L.F., van der Pligt, J., & van Harreveld, F. (2006). Visceral drives in retrospect: making attributions about the inaccessible past. Psychological Science, 17, 635-640. (Featured as Editor's Choice in Science, 312 , p. 1849). Nordgren, L.F., van Harreveld, F., & van der Pligt, J. (2006). Ambivalence, discomfort and motivated information processing. Journal of Experimental Social Psychology, 42, 252-258.
van Harreveld, F., & van der Pligt, J. (2004). Attitudes as stable and transparent constructions. Journal of Experimental Social Psychology, 40, 666-674.
van Harreveld, F., van der Pligt, J., de Vries, N.K, Wenneker, C., & Verhue, D. (2004). Ambivalence and information integration in attitudinal judgment. British Journal of Social Psychology, 43, 431-447.
van der Pligt, J., de Vries, N.K., Manstead, A.S.R., & van Harreveld, F. (2000). The importance of being selective: Weighing the role of attribute importance in attitudinal judgment. In M.P. Zanna (Ed.). Advances in Experimental Social Psychology (Vol 32) (pp. 135-200). New York : Academic Press. van Harreveld, F., van der Pligt, J., de Vries, N.K. & Andreas, S. (2000). Belief importance and accessibility in expectancy-value models. British Journal of Social Psychology, 39 (3), 363-380.
van Harreveld, F., van der Pligt, J., & de Vries, N.K (1999). Attitudes towards smoking and the subjective importance of attributes: Implications for risk-benefit ratios. Swiss Journal of Psychology, 58, 65-72.